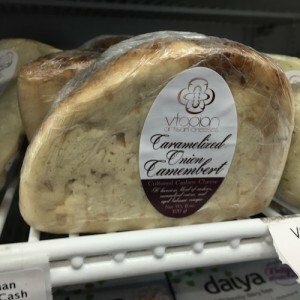 I have yet to see a camembert -style cheese in another grocery store, so I can’t wait to try what Vtopian offers. 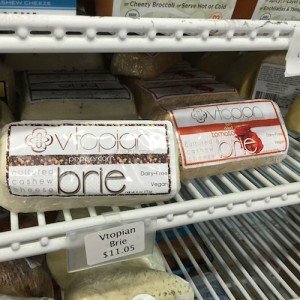 For those not within reasonable distance of Food Fight, visit the Vtopian website, where you can order these magnificent cheeses online. 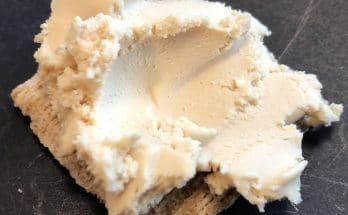 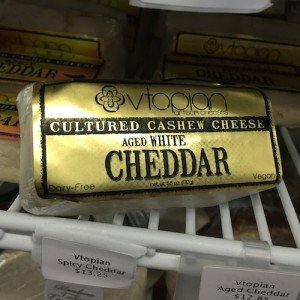 The Vtopian site offers an even greater selection — including a maple seitan cheeseball and dark chocolate strawberry brie, for the adventurous and sweet-toothed — but to me, these basics look far more appealing. 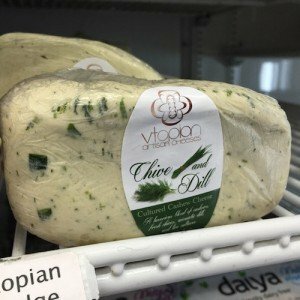 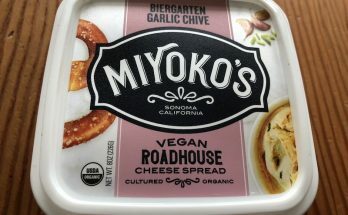 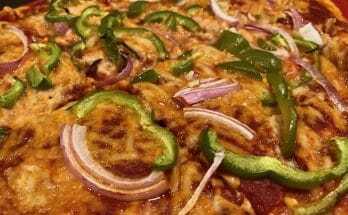 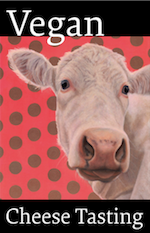 Vtopian is, not surprisingly, based in vegan-friendly Eugene, Oregon — all cheeses are hand-crafted from organic ingredients. 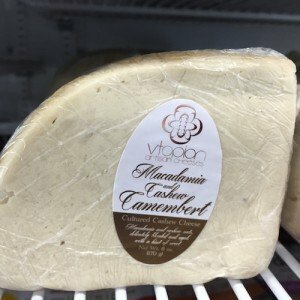 Vtopian cheeses are mostly cashew-based, but I am looking forward to sampling this macadamia-nut cheese, in this camembert below. 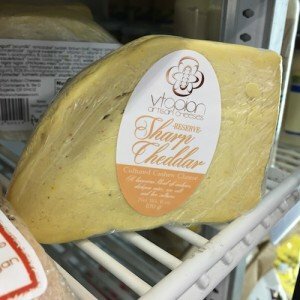 If you’re in Portland, visit and support Food Fight — and if not, look for these delicious cheeses here.